The city wants to spend $336,000 to market its new bus rapid transit (BRT) routes that will be known as Max. 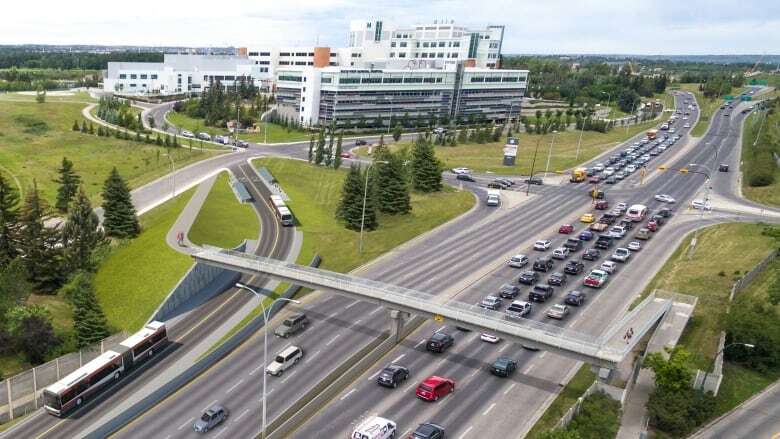 Members of the city's transit and transportation committee are backing plans for a marketing campaign for Calgary Transit's new bus rapid transit routes. 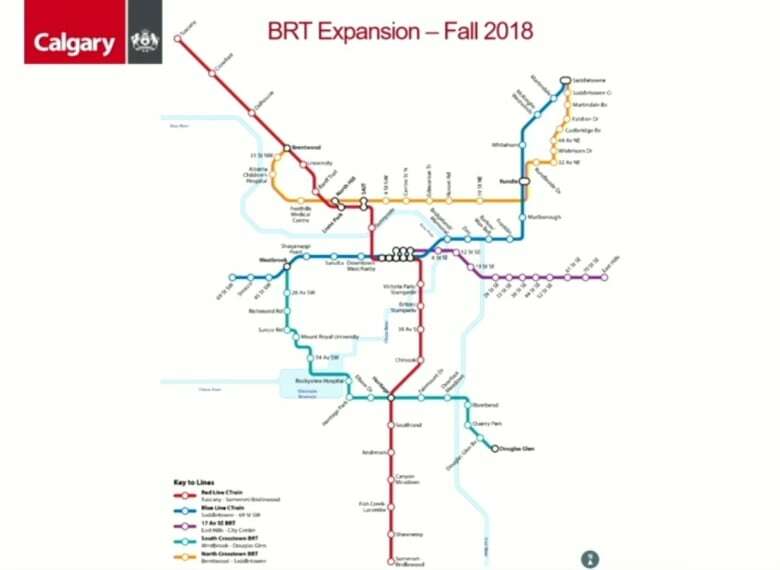 Three new BRT routes will begin service this fall and transit is planning its biggest-ever overhaul of other routes. To help establish the changes in the minds of transit users, the city is proposing a $366,000 marketing campaign to draw new transit riders. It also wants to rebrand the BRT service as Max. The goal is to differentiate it from transit's other routes and highlight the enhanced service on the Max lines. There will be special stations and with limited stops, it's anticipated transit riders can reach their destinations quicker. Transit officials say by mirroring the kind of promotion that has been done in other cities about BRT service, they expect to see a three- to five-per-cent increase in transit ridership in the first year of service. In Calgary's case, that would mean recovering the cost of the marketing campaign during the first year, if ridership goes up by three per cent. Coun. Shane Keating, who chairs the council committee, is supporting the plan. He was initially critical of the additional spending, but now he feels the case is there for the campaign. "If that trend continues, year after year, in 10 years you've now gone from a $366,000 investment to $3 million plus [in revenues]. If that's not a great return on investment, I don't know what is," said Keating. Only one member of the committee seemed troubled by the marketing plan. Coun. 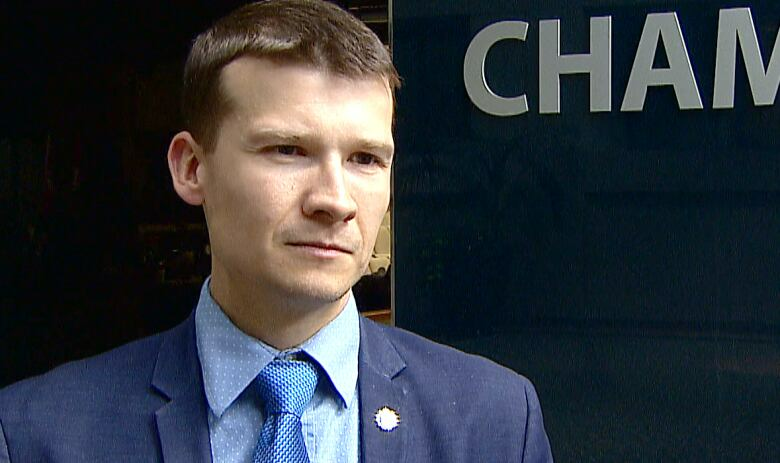 Jeromy Farkas said he would rather see the city spending money to figure out why Calgarians choose not to use transit services, which he says would allow it to fix problems and attract more ridership. He said Calgarians should be told about the new routes but preferred a lower cost option of $168,000. However, the committee rejected his idea. "Given that one of the biggest growth in spending that we've seen so far at city hall has been in communications, I think it's hard to go back to my constituents and tell them that it's either service cuts or tax hikes when we continue to spend so much money on marketing," said the rookie councillor for Ward 11. Ready for Max Teal? Max Orange? Max Purple? As part of the presentation to the committee, transit officials said they planned to put special paint jobs on three buses — one for each of the new Max routes — to promote awareness of the service. The North Crosstown route, which will run from Brentwood to Saddletowne, is to be branded as the Max Orange line. The 17th Ave S.E. BRT route will run between downtown and East Hills and be branded the Max Purple line. The South Crosstown route, which will run from Westbrook to Douglas Glen, will be called the Max Teal line. 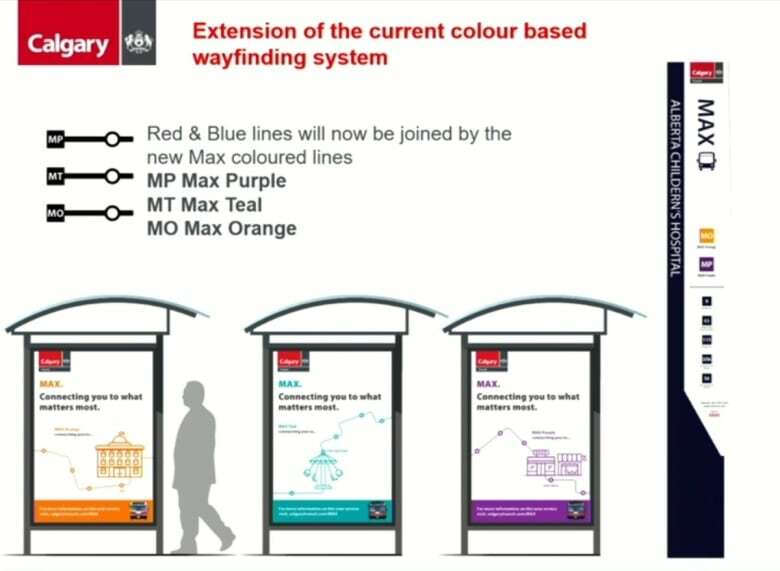 Officials said the identifying colours will help brand the services in the public's mind and complement the existing Blue and Red lines for Calgary Transit's C-Train service. Not everyone on the committee is a fan of the colour choices. Coun. Jeff Davison said jokingly in the meeting, "Teal is a terrible name. Who picked these colours by the way? I can't wait to take the Max Teal line." In a tweet, Mayor Naheed Nenshi wrote: "It really is the next logical colour. But I won't say I'm unhappy about it." Construction on the BRT stations is still underway so Calgary Transit hasn't set a specific date for the start of the three new routes. 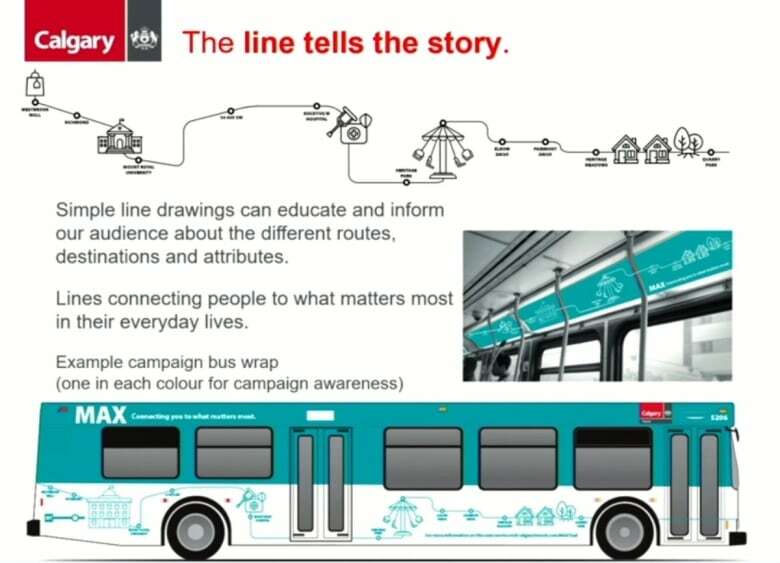 If city council approves the Max branding and the marketing campaign budget later this month, it's anticipated the campaign will begin a few weeks ahead of the new Max lines taking to the streets this fall. Read more articles by CBC Calgary like us on Facebook for updates and subscribe to our CBC Calgary newsletter for the day's news at a glance.